Anu George Canjanathoppil is IJM Canada's incoming Executive Director. "After an international search, Ms. Canjanathoppil was identified unanimously by the Board of Directors as the next leader of IJM Canada," says Chairman of the Board, James Peters. "Her vast, international, front-line experience along with her passion for seeking justice on behalf of the world's poor and vulnerable makes hers a voice that will advance the Canadian conversation about ending violence and slavery in our lifetime." "Having witnessed, identified and rescued thousands of individuals trapped in violence and slavery, I can confidently state that Canada has a crucial role to play in ending these forms of injustice," says Ms. Canjanathoppil. "I'm excited to lead this organization and invite Canadians from coast to coast to coast into this very urgent and important fight to end slavery in our lifetime." Ms. Canjanathoppil has 9 years of leadership experience with International Justice Mission. 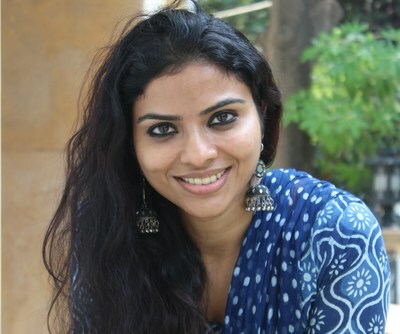 In Delhi, India she served as the Director of Operations and the Director of National Interventions, and in Chennai, India she served as the Director of Legal. During her time with IJM, she worked extensively to impact the justice system by collaborating with state and local governments in India. Ms. Canjanathoppil oversaw the training of more than 17,000 police, government officials, and NGOs, among others, on the rescue and rehabilitation of individuals trapped in slavery and bringing criminals to justice. As a result of Ms. Canjanathoppil's leadership, 7,500 individuals have been rescued from forced labour slavery. Through the use of innovative and dynamic methods like participatory training, street theatre and drama, Ms. Canjanathoppil also successfully engaged in impacting the different sections of society that can actively bring about change. Outside of IJM, Ms. Canjanathoppil has served as the Head of the University of Aberdeen School of Law (Indian Campus) and has taught law and management at the Indian School of Business and Economics, Bangalore Management Academy, Edith Cowan University, Staffordshire University and UTCI Malaysia. A lawyer by profession, Ms. Canjanathoppil holds a Master's degree in Business Administration from Edith Cowan University and a Master's degree in Organizational Leadership from Eastern University. In 2010-2011, she served as a Sauvé Scholar with the Jeanne Sauvé Foundation in Montreal, Quebec. Anu and her husband, Sachin, live in London, Ontario.